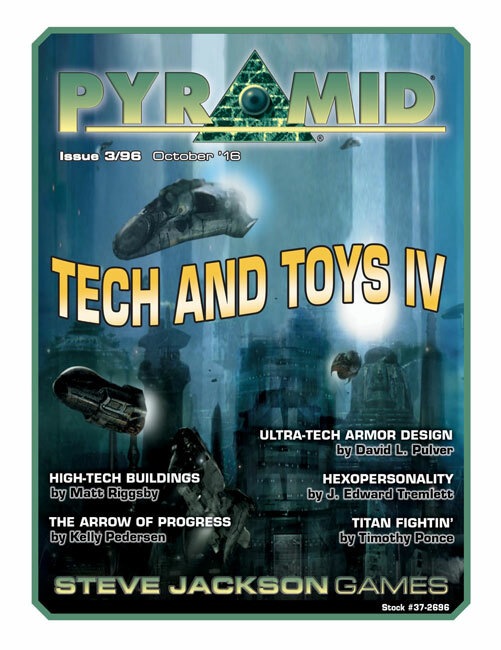 For years, Pyramid – the PDF magazine for roleplayers – has delivered monthly delights to your gaming table. 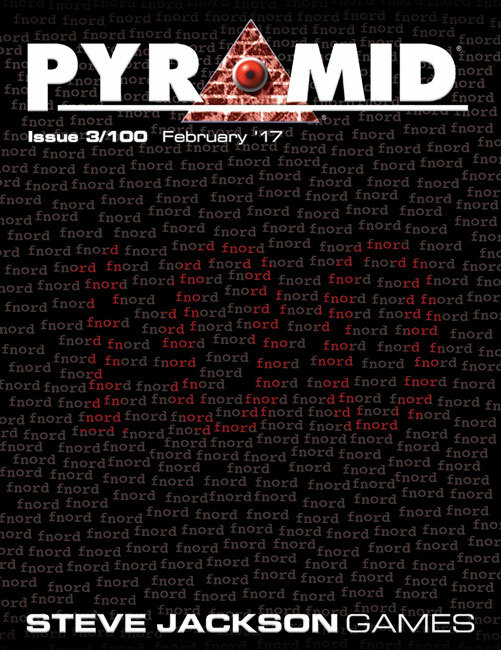 On this, our 100th issue, we bring you material that spans the possibilities of GURPS in all its amazement. "Infinite Weapons" arms you with new GURPS High-Tech firearms you might find across the GURPS Infinite Worlds setting. 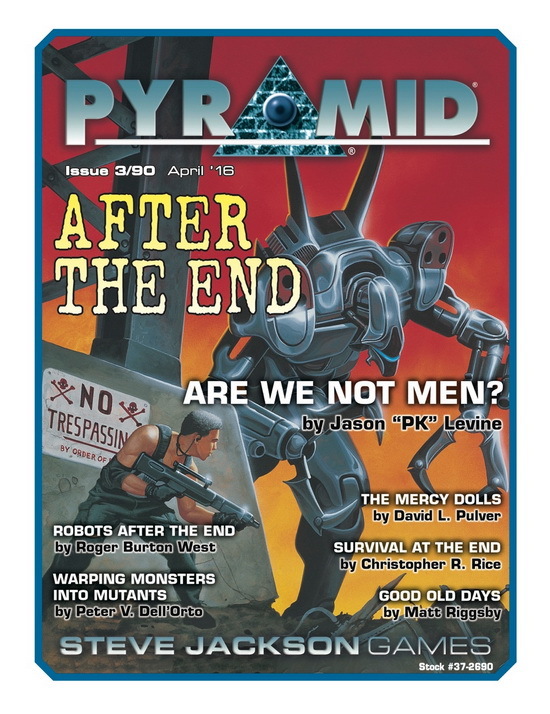 This month's column from David L. Pulver reveals new organizations and possibilities conjured from the pages of GURPS Ultra-Tech. 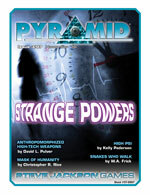 Secrets and surprises are waiting for you in this issue! 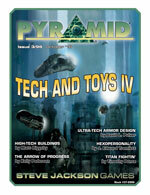 Learn your way around it well enough to create five-star campaigns in this month's issue of Pyramid. 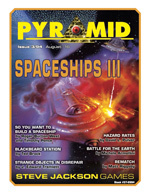 In "So You Want To Build a Spaceship" by Roger Burton West and Timothy Ponce, you'll find out how to build spaceships to fit the feel of your campaign – whether you're story is one of slick intergalactic exploration or working stiffs getting by, in space. 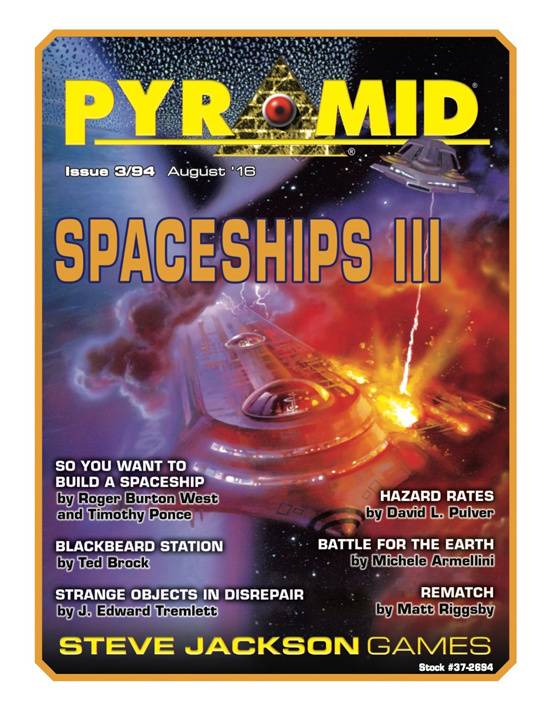 This month in David L. Pulver's column, get ideas for introducing contraband, smuggling, and grey market goods into your space game. And there's plenty more interstellar content where that came from! You thought it was safe to walk past a graveyard? The dead have other ideas! 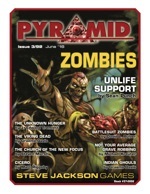 This installment of Pyramid is dedicated to exploring a single versatile threat: zombies. 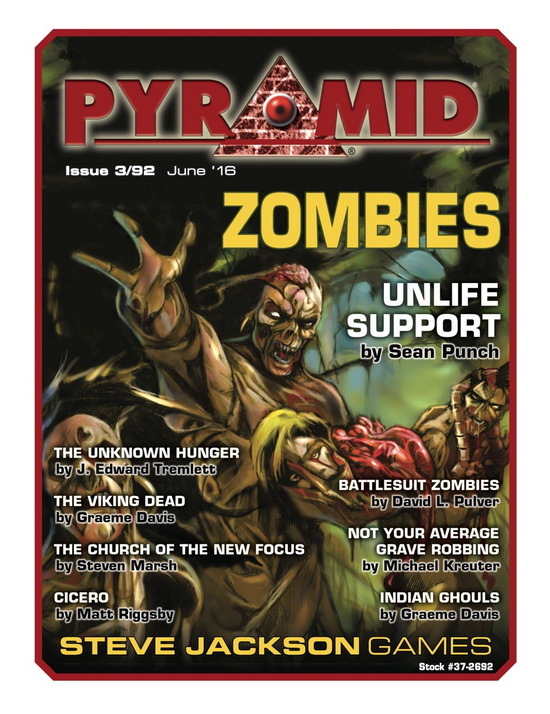 This issue's pulse-pounding pages contain "Unlife Support," a discussion of various GURPS options for including playable free-willed zombies in a campaign, from GURPS Zombies author Sean Punch. Let the heroes use Partial Resurrection, a "restart" serum, or other options. The PCs may die, but the fun lives on! Where wizards duel and a dark tome hides, where metal spells and foul brews reside, where spirits lurk in machines to awake, let this Pyramid help your magic to make! This latest installment is another assortment of arcane-expanding miscellany, perfect to add all manner of new excitement to your GURPS game. 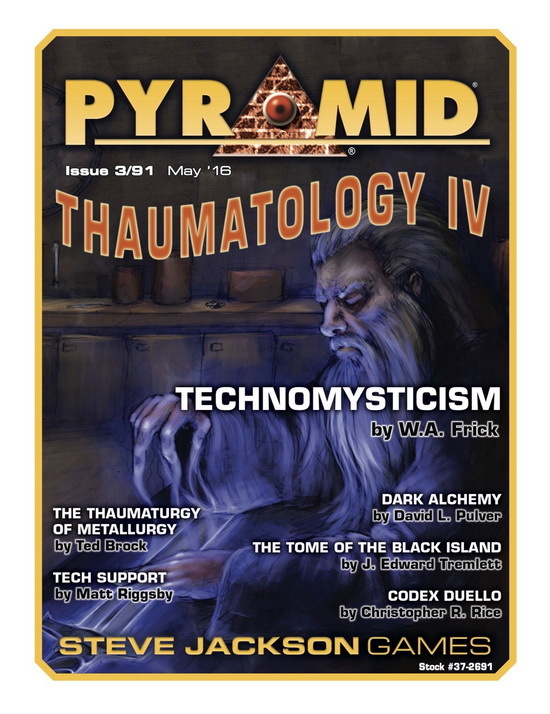 Within the uncanny pages of Pyramid #3/91: Thaumatology IV, you shall discover "Technomysticism," a new magical field that might be found in the world of GURPS Monster Hunters. 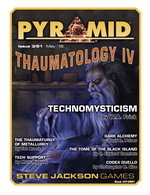 This feature showcases a new champion – the technomystic – plus details on technologically oriented abilities (including Machine Whisperer, Repairing Touch, Machine-Jinx), GURPS stats on several tech spirits, and more. 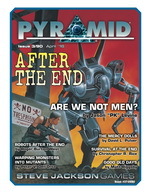 It also includes information on how to work with the netrunning abilities from Pyramid #3/21: Cyberpunk. The world may have ended, but the fun is just beginning! 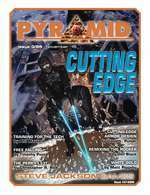 The latest installment of Pyramid unleashes the potential of GURPS After the End, with loads of new material to enhance your post-apocalyptic possibilities. 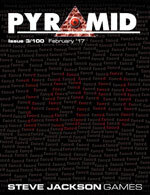 This issue's radioactively radiant features include "Are We Not Men?," an expanded look at mutant powers by the architect of After the End, Jason "PK" Levine. Picking up where GURPS After the End 1: Wastelanders left off, this article adds over two dozen new mutations, letting you roll randomly or pick from the list of choices. Push the limits of humanity with catlike grace, winged arms, X-ray vision, and much more. All it'll take is a computer glitch in a lead-lined silo, and the apocalypse could be upon us! 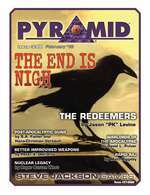 This month's Pyramid looks at what comes next, with post-apocalyptic goodies that will be invaluable to gamers using GURPS Action, GURPS Zombies, or the forthcoming GURPS After the End. The end times begin in style with "The Redeemers," a powerful gang that can be friend or foe, from Assistant GURPS Line Editor Jason "PK" Levine. Discover their code of conduct and tenets, along with GURPS stats for various members. This feature also provides maps from Matt Riggsby, scribe and cartographer for GURPS Locations: Hellsgate, plus a player's handout to set the mood. The future isn't some far-off wonderland; it encroaches on the present with every passing moment! 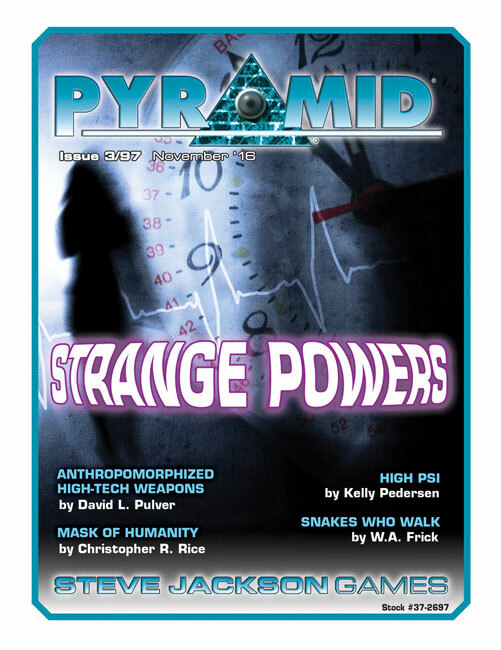 This issue of Pyramid checks out skills, ideas, and tech from the not-too-distant future, whether it's a transhuman tomorrow, a cyberpunk society, or something even stranger. 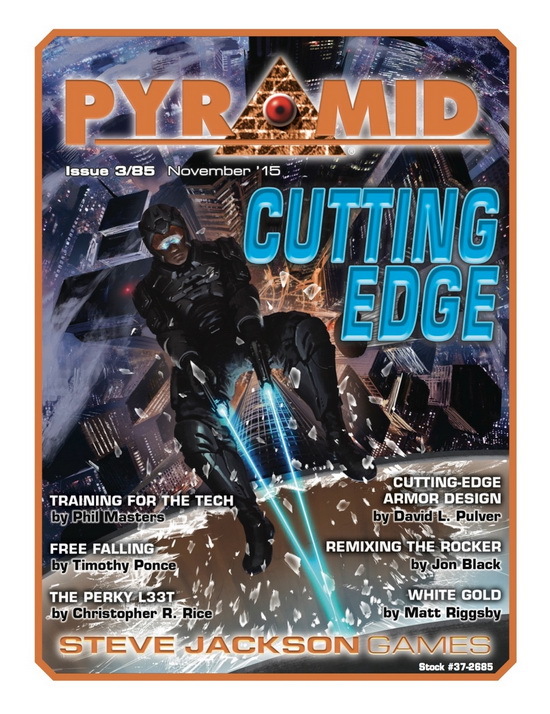 This issue features "Training for the Tech," a look at styles, skills, and developments for shootists in the near-future. Written by Transhuman Space line editor Phil Masters, this guide offers a plethora of new options for any TL9 campaign (including Transhuman Space). Sometimes the most amazing thing you can do with your gaming is to look at things from a new angle, shake things up, and challenge your perspectives. 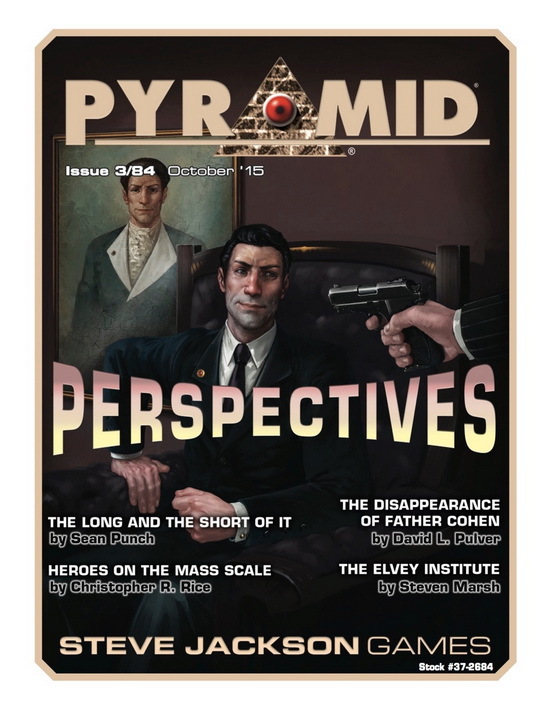 This issue of Pyramid is devoted to looking at things from a different point of view. 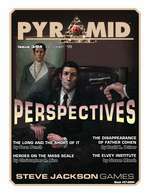 Its senses-stretching articles include "The Long and the Short of It," Sean Punch's supplement-length look at how extremes of time and space can call for special scrutiny in GURPS, in the same vein as the advice from How to Be a GURPS GM. Whether your campaigns are set in a tiny hamlet or the endless multiverse, or whether they're one-shots or span generations, you'll learn how to ensure your campaigns are balanced and fun!